In principle, a biodiversity survey is very straightforward: it finds what species are present. The simplest biodiversity surveys estimate 'species richness' (how many species are in a defined area) . For excellent practical reasons it is seldom possible to identify every species (of plant, animal, fungus, and micro-organism) in the study area. Biodiversity surveys usually estimate the number of species in a 'taxonomic group' (such as birds, mammals, butterflies), or in a 'functional group' (such as predatory fish, or seed-eating birds). Since no survey can be sure to find every species present, unless the study area is minute, surveys can only estimate the number of species present. A simple species count, in effect, treats every species as equally important, or abundant (every species affects the count to an equal extent). Using a simple count to evaluate the impact of (say) a dam project assumes common weeds are just as important as endangered orchids (demolishing rainforest produces lots of easily observable weeds). Heterogeneity surveys weight each species - for example by an estimate of its abundance (or by its rarity), or by whether it is on an 'endangered' list. Some species are much harder to find than others and (even counting elephants from the air) it is seldom possible to locate every individual in a study area. Estimating species abundance, or even finding uncommon species, requires special skills and knowledge of the species under study. 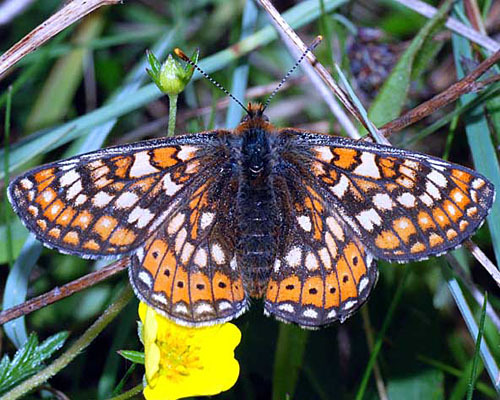 InfluentialPoints has the expertise to conduct biodiversity surveys of various invertebrate groups at reasonable rates. (See for example our most recent survey of aphid biodiversity. ) We also have twenty years of experience conducting surveys, research, and control of biting flies and ticks. We provide training sessions to local personnel on sampling and identification of aphids and biting-flies. Aphids, as a species group, meet the requirements for biodiversity studies very well. They have a very large number of species, with more than 600 species known to occur in Britain. They occur in nearly every habitat type. One might (wrongly) think that aphids are just common pests! Yet, like birds, butterflies and mammals, only a minute proportion of aphid species are pests. Most aphids feed on non-crop herbs and are harmless. Nettle aphids provide a valuable reservoir of natural enemies which control crop pest aphids whilst some tree-feeding aphids are valued commercially for their role in honey production. 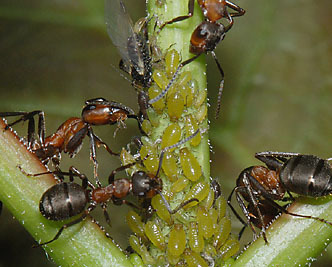 Aphids play a key role in the ecosystem as providers of aphid honeydew, and are key to the survival of several keystone ant species. Aphids also include several relatively large very rare and/or endangered species, such as the giant oak aphid (Stomaphis quercus) and a juniper aphid (Cinara smolandiae) recently discovered in the Scottish Highlands. This website provides many pages on identifying aphids, as well as practical hints for the non-specialist. Biodiversity surveys are increasingly used to indicate the conservation value of particular habitats. They often center upon easily-studied groups, or those which are well-regarded by the public at-large. These include birds, butterflies and moths, and dragonflies. Other invertebrate groups have been mostly ignored. Such a narrow approach can adversely effect our ability to conserve biodiversity in our environment. Hopefully this is starting to change. Unless you believe only species of immediate commercial use are important, or propose we halt all development, we either need to identify which areas are worth conserving - or estimate the impact of planned development. Biodiversity surveys are assumed to provide a simple measure of comparative ecological 'value' - which is independent of the area, time, and surveyors. Since even a nature reserve is never entirely undegraded, biodiversity is one way to compare the effect of conservation and restorative measures. - For instance, is bracken best controlled by topsoil-removal or herbicides? Biodiversity surveys can also reveal which areas deserve conservation, or to compare the ecological 'health' of reserves competing for financial support. Biodiversity surveys enable us to identify which species require special conservation measures, which are doing OK, or which require control. Performing a biodiversity survey can also reveal unexpected and useful information - such as species thought long-gone, or invasive species, or species in unexpected places ... or the impact of farming practices. Biodiversity surveys commonly examine the most convenient group - where there is most expertise, most precedent, or least cost. So on what basis ought one choose an appropriate group? There must be enough species in the group. Groups such as top predators, or large mammals, or marshland birds, tend to be 'lost' much more readily than others - or have very few species in a pristine ecosystem. The species must have been described (discovered), and identification must not be too costly or difficult. If dissection or DNA analysis is the only way to distinguish species, things get expensive and difficult. The species must not be too difficult to sample. Nocturnal predators for instance would present a challenge. Some of the group should either be keystone species, or important to keystone species. A keystone species is one which plays a critical role in maintaining the structure of an ecological community and whose absence detrimentally affects many other species within that ecosystem. Ideally at least some of the group should be endangered, either nationally or internationally. Rarity, by itself is not sufficient. Conservation funding prefers endangered species. It helps if some of the species 'indicate' a healthy ecosystem. For example, the freshwater shrimp, Gammarus, is rather pollution-sensitive so, if you find Gammarus, that environment is relatively unpolluted (and if otherwise undegraded) its ecology is presumably OK. Surveys of a single species-group can present a highly lopsided view - and miss unexpected rarities. If possible at least two species groups should be surveyed. Another neglected group in biodiversity studies is blood-feeding arthropods, including biting flies (tabanids, stomoxines, mosquitoes & midges ), and the ticks. These do meet some of the criteria given above, but the main justification for their inclusion in biodiversity surveys is rather different. They are all disease vectors - to a greater or lesser extent. Tabanids and Stomoxys are implicated in the transmission of an invasive horse disease, equine infectious anaemia. It often fatal to horses, but not infectious to humans. In 2013 it was recorded in horses in Devon and Cornwall. There is increasing concern about invasive mosquitoes since Culex modestus, a known vector of West Nile virus, established itself in the North Kent Marshes. And then, of course, Schmallenberg virus transmitted by biting midges (Culicoides) to sheep and cattle established itself in the UK in 2012. Hand searching. 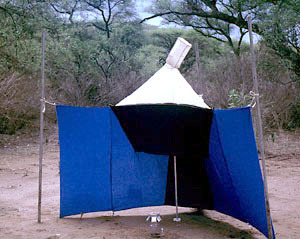 This is the preferred method since it gives information not only about which plant species the aphid is feeding on, but also the precise feeding site, the size and appearance of the colony (if one is formed), and the presence of any predators, parasitoids, fungal pathogens and ectoparasites (mites). Aphids are collected live to rear up immatures and obtain parasitoids. Beating vegetation. This is most appropriate for tree species for mobile and/or cryptic species which can be difficult to detect by hand searching. Sweeping vegetation. This can be useful in grassland, but has the major drawback that one usually loses the information on the host plant of the aphid - which may be essential for identification. Coloured water trays. This only samples winged dispersing adults. Again it gives no information on the host and the aphids caught may not be 'resident'. Standard dipper to sample mosquito larvae. Larvae reared through to adults for identification. Light trap sampling using CDC-type portable light traps. The spatial pattern of sampling depends on the requirements of the client - whether interest is focused on maximizing the number of species recorded or on obtaining a standardized measure of aphid density/diversity that can be compared with other areas. Purposive or convenience sampling in each habitat type. Establishment of random transects through study area with samples taken at set intervals along the transects. InfluentialPoints has the expertise to carry out biodiversity surveys of aphids (Superfamily Aphidoidea) at very reasonable rates. We provide training sessions to local personnel on aphid identification. 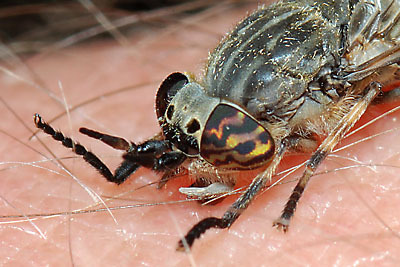 We also have twenty years of experience carrying out surveys, research, and control of biting flies and ticks.